As tuition rates continue to soar, it’s more important than ever to invest in a career that will pay well. 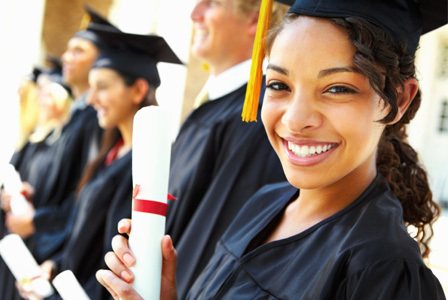 Excel in one of these majors and there will no worries about paying back that student loan. In an ideal world, we could send our kids to college for the sheer joy of learning — without worrying about going into debt and paying back massive student loans. Payscale recently published a college salary report, which includes data from more than 1.4 million college alumni from over 1,000 schools. The report listed the nation’s 15 highest-paying majors among those holding a bachelor’s degree. Choosing majors in the math and engineering fields are a good idea, according to Katie Bardaro, lead economist at Payscale. So, what are the college majors with the highest salary potential? DegreeDirectory.org defines petroleum engineering as “the study of how to locate and extract energy resources, such as oil and natural gas, from the earth.” The degree program encompasses a variety of academic disciplines, including geology, geophysics and even economics. The starting median salary is $103,000, and the mid-career (10-year) median salary is $160,000. This is the career for math lovers. Actuaries are professionals who spend time “evaluating the likelihood of future events using numbers, not crystal balls, designing creative ways to reduce the likelihood of undesirable events and decreasing the impact of undesirable events that do occur,” according to BeanActuary.org. An actuary must be strong in math, statistics, finance, economics, probability and other interrelated subjects. The starting median salary for an actuary is $58,700, and the mid-career median salary is $120,000. Nuclear engineers combine a strong background in math, physics and engineering with a knowledge of environmental issues to “tackle the safe, effective design of a number of processes and systems, including nuclear plants for energy generation, nuclear power sources for military or space vehicles, systems for disposal of radioactive waste and equipment used in nuclear medicine,” says AllEngineeringSchools.com. Nuclear engineers start at an average of $67,600, while mid-level professionals earn a median salary of $117,000. As the name indicates, this degree program is a branch of chemistry and engineering. Every manufacturing industry needs a chemical engineer to “research chemical combinations with the goal of finding new uses and products for chemical raw materials,” says DegreeDirectory.org. Chemical engineers enjoy a starting salary of about $68,200 and a mid-career median salary of $115,000. An aerospace engineer designs aircraft, spacecraft, satellites and missiles and is employed “primarily in analysis and design, manufacturing, industries that perform research and development and the federal government,” according to the Bureau of Labor Statistics. The starting median salary is $62,800, and the mid-career median salary is $109,000. Electrical engineering is always a popular field. Subfields include digital computers, power engineering, telecommunications and more. A new electrical engineer can expect to earn around $64,300 and a veteran engineer about $106,000. The Bureau of Labor Statistics reports that computer engineers, or computer hardware engineers, “research, design, develop and test computer equipment, such as chips, circuit boards or routers…to create rapid advances in computer technology.” Payscale reports a starting median salary of $65,300 and a mid-career median salary of $106,000. A computer scientist might focus on any one of a wide array of theoretical or practical subfields, such as programming, language and graphics. The starting median salary is $59,800 and the mid-career salary is $102,000. Recent research by Georgetown University was conducted on a much smaller scale and included pharmaceutical sciences and administration in its list of top-paying majors. The Georgetown study also published a list of the lowest-paying majors.